Solid surface kitchen tables are widely preferred in Singapore and beyond because of their pocket - friendliness, durability, easy maintenance and more importantly; variety of colors. This final factor brings with it much deliberations among Singaporeans who are in need of the perfect color which will complete their fashionable kitchens. Solid surfaces come in almost any color under the sun and there are countless factors that come in play when choosing the most appropriate color for the kitchen table. It is important to remember that as the owner of the kitchen, you are one who will have to live with the appearance that the chosen color of solid surface kitchen table will give your kitchen maybe for as long as your lifetime. Consequently, it is important to adhere to your taste of colors. However, you may be uncertain of the most suitable color for the solid surface from a list of your favorite colors which is why you have to read on. It would generally be more appropriate if the color of the solid surface kitchen table blends in with the interior painting. 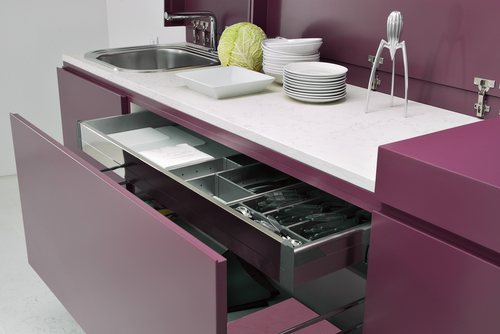 You may also choose a color that matches with the rest of your kitchen cabinet. Huge contrast in color is a potential deal breaker that must be avoided since it automatically ruins the general beauty of your kitchen. A simple trick to choose a relatively dull color because brightness of colors emphasizes the contrast. Although all solid surface kitchen tables are generally easy to clean, some colors actually make even the tiniest dirt appear very conspicuous. As a result, such colors need more frequent cleaning. It is fine if this is non of your concerns, otherwise, you may have to resort to other colors that will not demand much effort to clean. Having a spotless white kitchen table is an indicator of cleanliness. 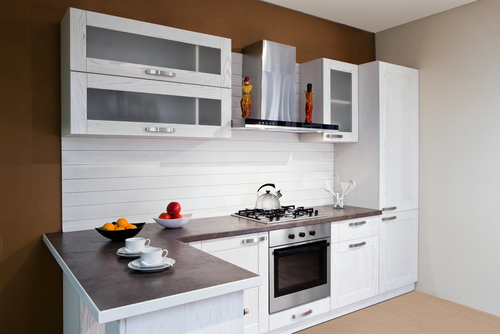 The best way of keeping your kitchen table that clean is by using a white solid surface because it easy to clean. You should note that all solid surfaces do not absorb dirt to form stains. Moreover, white color blends perfectly with almost any color. This color is most suited for kitchens which has lots of wooden kitchen cabinet of the same color, for example, those that were only painted clear to retain the natural color of mahogany wood. In fact, some solid surfaces colors are nowadays designed with a striking resemblance to wood that you may be fooled it is wooden from afar. Having a wooden floor would be a plus in this case. A cream colored solid surface kitchen tables are not only beautiful but also blend in with many colors. This color is dull and therefore creates minimal contrast. Just like cream, gray color is dull enough to be compatible with virtually any color that your interior could possibly be painted. Another strength of gray color is that it does not exaggerate dirt and must not be cleaned as frequently as white colored solid surface kitchen tables. The biggest objective of finding a perfect color for solid surface kitchen table is achieving general beauty to the kitchen and avoiding contrast in colors. Maroon color strikes a delicate balance between the two by providing the aesthetic value in the absence of unnecessary brightness. For lovers of conspicuous colors, green is rated highly because it gives your kitchen that natural look which match the leafy vegetable. Furthermore, it causes relatively less contrast in comparison to even brighter colors like red and yellow. The debate revolving around the pros and cons of granite or solid surfaces covers aspects such as the beauty of the granite colors. However, modern technology has made it possible to manufacture solid surfaces that resemble granite if color is the only thing to go by. This has made solid surfaces with granite colors more attractive since it offers the same lavish and prestigious beauty of granite at an affordable price. i) Mahogany granite color; This has similar benefits as discussed under ordinary mahogany above. 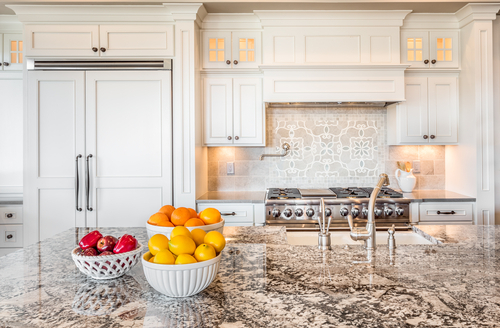 In addition, it brings in the beauty of granite color. ii) Gold granite color; Undoubtedly, no other color would keep the pace of Singaporean fashion like golden granite color. The obvious reason here is that golden colors are associated with gold hence prestige. iii) Shiny black granite color; solid surfaces of this color are simply jaw dropping especially if used in the kitchen that has white walls. Black and white is an amazing match. iv) Pink granite color; this is particularly more attractive to fans of pink color. Cream, Gray and Green granite colors all have the similar advantages as already discussed above and yes, the beautifully dotted granite outlook is the only added benefit. - The colors are capable of blending in with many colors of the interior such as those of the other components of the kitchen cabinet. - The colors are beautiful and any person who visits your kitchen is likely to leave with a great envy. The bottom line is that solid surfaces come with such a wide range of color options, many of which are particularly great for kitchen tables. As such, regardless of the color of your kitchen interior you cannot possibly miss out on a color that will keep you at par with the rest of Singaporeans without having to use colors you personally dislike.